Captain Tony’s Saloon is rich in history, and an easy place to spend a few hours in the shade to escape the hot Key West sun. Everyone from Ernest Hemingway, Jimmy Buffett, Truman Capote have roots in Captain Tony’s. Built in 1851 as the island’s Ice House, it also doubled as the morgue. The old tree you’ll see in the island was known as the Hanging Tree, where 16 pirates and one woman were hanged. 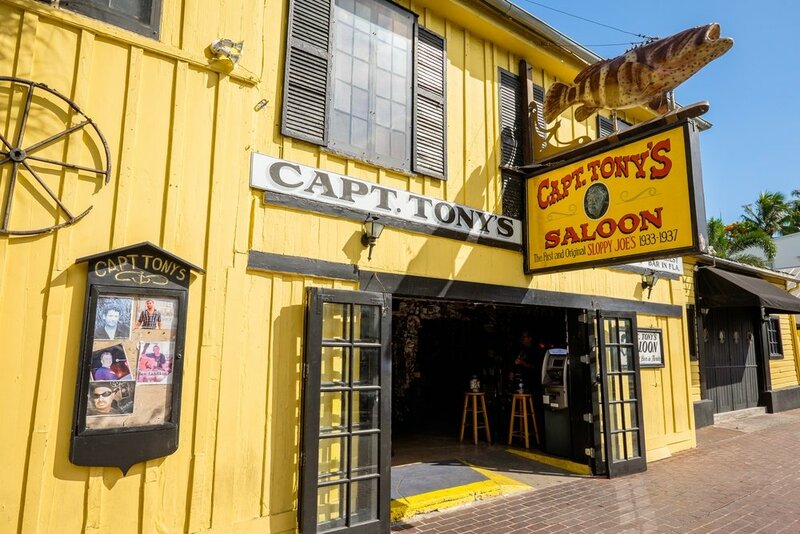 Like many places in Key West, Captain Tony’s is thought to be haunted. Today, Captain Tony’s is a favorite of both locals and visitors. They have live music most days and serve up a tasty Pirate’s Punch, even letting you take home your branded cup.